Enchanting creamy white flowers with a dark pink throat and a splash of yellow on dark green healthy foliage with a compact, clump forming habit. Evergreen. Micro-variety. Non-invasive. Drought tolerant once established. 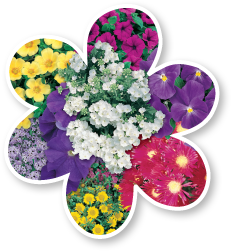 Great for gardens, borders, containers, mass planting and for cut flowers. Plant in well drained, humus rich soil in a sunny position. Height to 35cm and width to 35cm. Keep moist throughout summer. Remove spent flowers to encourage further flowering. CAUTION: All parts of Alstroemeria are poisonous and are harmful if ingested and can irritate skin on contact.